Dont miss your opportunity on this one, it is not going to last long! 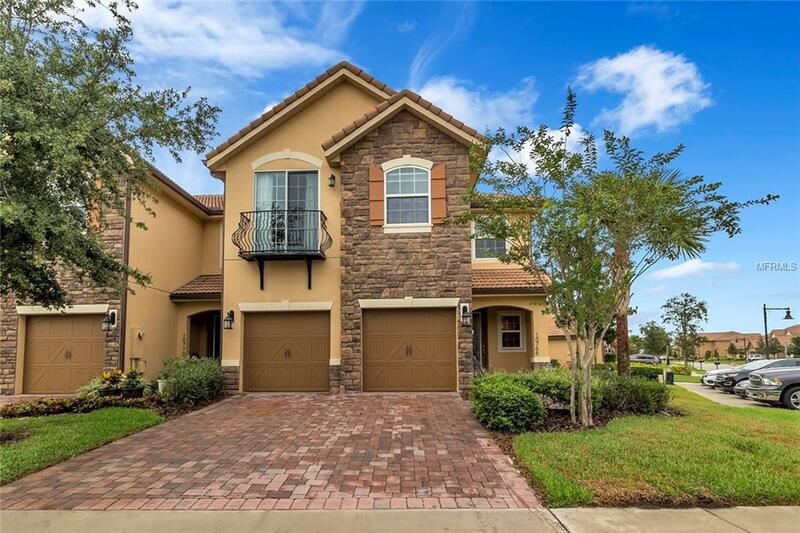 Gorgeous 4 bed/ 3.5 bath, upgraded 2-story townhome on a corner lot in the centrally located and gated community of Eagle Creek in Lake Nona. The beautifully landscaped yard will catch your eye as pull up and upon entry you will find a welcoming foyer. Step thru to an open and expansive main living area with beautiful wood floors throughout. The kitchen is well appointed with upgraded, stainless steel Kitchen-Aid appliances, plenty of cabinet space, and island with breakfast bar. The kitchen looks out to the dinette and family room, both of which have views of the back yard. Up the stairs you will find the master suite has ample space for a king set and the attached ensuite will make you feel like you have been whisked off to the spa! Dual sink vanity with make-up station, large soaking tub and separate glassed shower are featured. Additional bedrooms are generously sized and ideal for family, guests, a home office, and just about anything else to fit your needs. Step out into the covered and lanai that is the perfect Florida oasis. So much room to entertain, or just sit out and enjoy the game with burgers on the grill. Luxurious window treatments and draperies included with the home. Just minutes to OIA and other hotspots makes this one a must-see!